Ferrari were reported to the FIA by a former employee, who has since left for Mercedes, over their alleged misuse of battery power in 2018. FIA race director Charlie Whiting has confirmed that the Scuderia have been cleared of any wrongdoing after investigations at the Azerbaijan and Monaco Grands Prix. 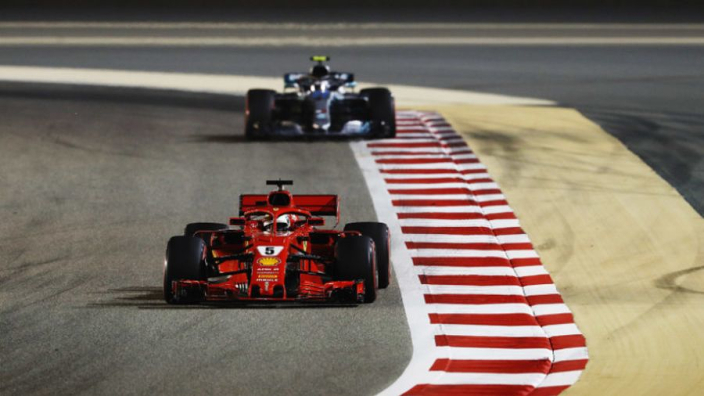 It is reported by the Mail on Sunday that James Allison, Mercedes' technical director who previously held the same role with Ferrari, reported Ferrari to the FIA in Baku, amid suspicions that they were extracting more power from energy recovery systems than allowed. Whiting apparently also revealed that Lorenzo Sassi, Ferrari's former engine chief who moved to Mercedes last December, was also responsible for bringing the issue to the FIA's attention. "The matter was exacerbated by unsubstantiated allegations that went through the paddock like wildfire," Whiting is quoted as telling the Mail. "It came from a Ferrari engine man now at Mercedes, but his information would be the length of his gardening leave old." Ferrari have balanced out the power playing field in 2018, with Sebastian Vettel enjoying three consecutive pole positions in Bahrain, China and Azerbaijan, however his ability to only convert one of those into a win means he trails Lewis Hamilton atop the drivers' standings. The German's title hopes will be boosted by the news that Ferrari's power unit has been deemed legal. "We had some concerns in Baku that were difficult to explain and we worked through it with them," Whiting explained. "[The rulebook] says that it is the duty of the competitor to satisfy the FIA that their car complies at all times and they were having difficulty satisfying us. Here, we are now satisfied. "Some things in the data we could not quite explain... we went through it with Ferrari and they gave explanations which were not particularly convincing. "We wanted to really get to the bottom of it and in Spain, they took some measures to make sure we understood it more and that we were seeing things that we were happy with."